This is an interesting little book by Bethany House Publishers. There is no specific author mentioned, although, an inner page says it is compiled by Keith Wall and edited by Andy McGuire. 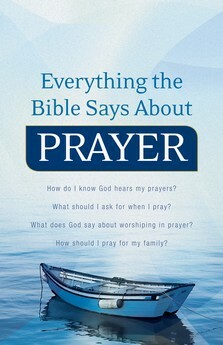 The book is basically a compilation of Bible verses (in various translations) that point us towards prayer. Topics include things like praying with boldness, elements of effective prayer, and Jesus’ teachings on prayer. It is not a book I would necessarily just sit down and read, but is a good little resource to have when looking for verses on the subject.